The McKalla Business Park off Burnet Road near the Domain is one of the sites being considered for a soccer stadium. 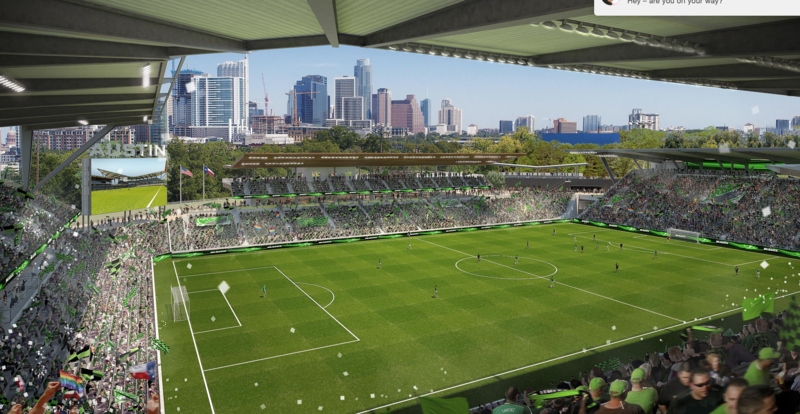 To the casual observer or those watching intently from afar – like, say, Columbus, Ohio – you might be a little confused by the signals "the city" is sending about a proposed soccer stadium in Austin. This week, the city’s Parks and Recreation Board voted to remove Roy Guerrero Park from the list of sites that could support a Major League Soccer stadium. While the vote officially changes nothing, it could further limit the options for moving the Columbus Crew to Austin. The decision will be taken under advisement by the City Council, whenever members decide to take up the issue again. But this is where it could get a little unclear. Is the city the one that made the list of stadium sites? Or is the city crossing them off? The answer to both questions is "yes." It's important to distinguish here between the City Council, parks staff and the parks board. Last fall, city staff came up with a potential list of locations that included Roy Guerrero and the controversial Butler Shores site. The list was not an endorsement, just the execution of a directive. But it did offer supporters an opportunity to wonder about the possibilities. The parks board members are volunteers, appointed by City Council members. And again, their opinion on where a soccer stadium might be built is just that: an opinion to be shared with the Council. The Council seems split about Roy Guerrero. Some members would not like to see any parks used for a soccer stadium. Others see that the investment could help with still-needed repairs there from flooding in 2015. But where does the face of “the city” stand on the issue? Austin Mayor Steve Adler said he’d like the Crew to move to town. “If there’s a way to find a location that works in this city and works for the team, then I want us to find it,” he said. He said putting a stadium on city-owned parkland was always going to be a “heavy lift,” but that he would like the team to go through all the steps before a decision is made. “The team is entitled to have that opportunity to engage the community and say, ‘Hey, what do you think about this?’ And then let the community respond as it is,” he said. Adler’s early favorite site for a stadium is McKalla Place, a city-owned lot near the Domain. The reason the city – that is, the staff, the board and City Council – is involved in the first place is because the stadium would belong to it, eventually. Precourt Sports Ventures, the company that owns the Columbus Crew, would use public land to build its new home – as long as it’s close to the city, and by that we mean: is downtown. Austin could be home to a Major League Soccer team soon. The owners of the Columbus Crew are actively pursuing a move. But one fairly large hurdle to overcome is where they would build a stadium. 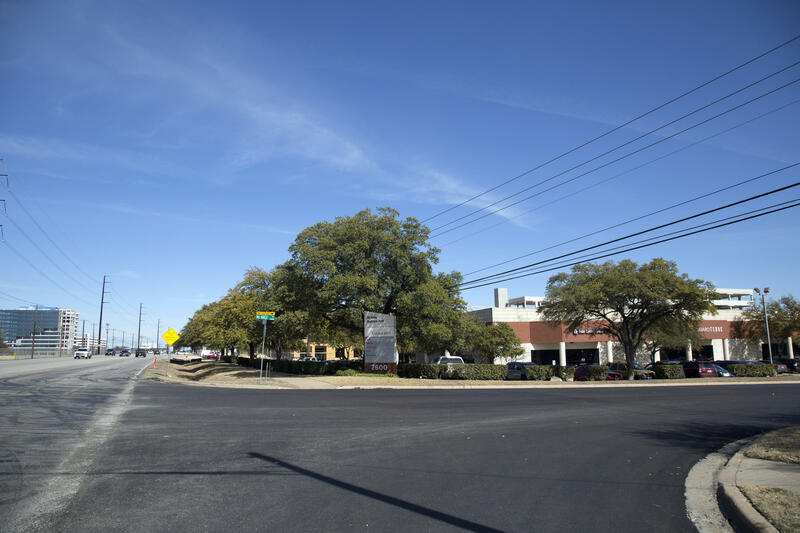 Among the potential sites are McKalla Place near the Domain, Roy Guerrero Park in the Pleasant Valley neighborhood and the old Home Depot property at St. Johns Avenue. KUT Morning Edition host Jennifer Stayton spoke with reporter Jimmy Maas to get a sense of where things stand with the Crew. The group trying to move a Major League Soccer team to Austin says it has reconsidered Butler Shores as a possible stadium venue. Precourt Sports Ventures said in a statement this afternoon that the parcel of land near Zilker Park is no longer on its shortlist for a stadium. The prospect had angered Zilker-area neighbors and spurred a denunciatory resolution from Austin City Council Member Ann Kitchen, whose district includes Butler Shores. Precourt Sports Ventures, the firm that’s hoping to bring a Major League Soccer team to Austin, isn’t happy with the Austin City Council – specifically, Council Member Ann Kitchen. The Austin City Council is weighing eight potential sites to house a professional soccer stadium and practice space after the Ohio-based Columbus Crew soccer team expressed an interest in moving here. But council members decided to hold off on a final decision for now, postponing a vote until Feb. 15.